Thousands of votes have been cast and three farmers have been awarded the power to do more with a $10,000 donation to their community. 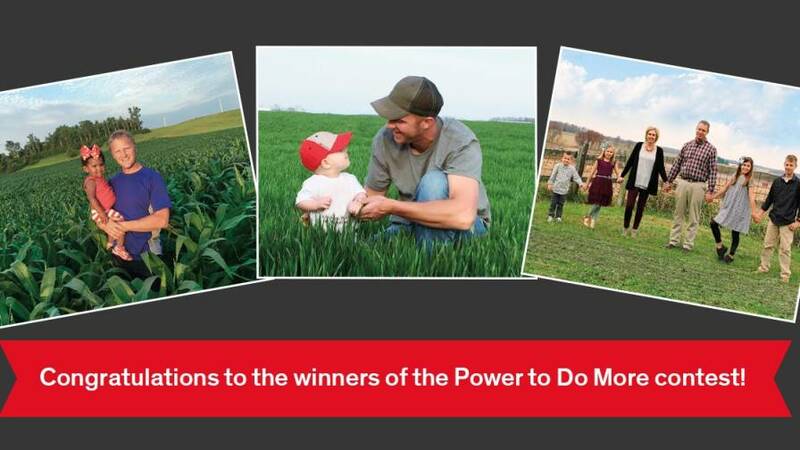 Of the 10 finalists in the Power to Do More contest sponsored by Resicore herbicide, Chad Hibma of Harris, IA, Curt Robbins of Fairfield, IL, and Lee Stammen of Fort Recovery, OH, were the top three to receive the most votes and each earn a sports trip for two. Dow AgroSciences is donating a total of $37,000, with $10,000 to the three winning communities and an additional $1,000 to the communities of the remaining seven finalists. Between April 24 and May 21, friends, family and neighbors of the 10 contest finalists cast thousands of votes for their favorite finalist and community. Each finalist had previously entered the contest by submitting a unique photo and story about the power of their operations, many of which included family, farm equipment and picturesque landscapes. Resicore herbicide, the sponsor of this contest, was designed to give farmers power over weeds and versatility to control more than 70 tough weeds that rob corn yield, profit and time. Hibma submitted a photo of his daughter, Avery (2), and himself in his family’s cornfield. He and his wife, Ashley, have three more children, ages 9, 11 and 13. Hibma farms corn and soybeans, and he raises hogs with his father right outside of Harris. When Hibma isn’t farming, he enjoys spending time with his family, camping and watching his children play sports. As a winner of the Power to Do More contest, Hibma will receive two tickets to a football game at Sports Authority Field in Denver this fall, plus $10,000 for the National FFA Organization chapter in his hometown. A former member of the Harris Lake Park FFA, Hibma is excited to give back to the current chapter and its members. Robbins submitted a photo of his family standing united on their family’s fourth generation farm. He grew up on the farm and was active in 4-H, FFA and sports throughout high school and college. His active lifestyle didn’t slow down after college as his family grew and he returned to the farm. In addition to farming corn and soybeans and raising cattle with his father, Robbins is a school board member, agriculture teacher, little league baseball and softball coach, junior league football coach, high school football coach and FFA advisor at Fairfield Community High School. The Fairfield Community High School football field will receive $10,000 for renovations and Robbins, a diehard Chicago Bears fan, will receive a trip for two to Soldier Field in Chicago. Stammen submitted a photo of his son, Levi, and himself in his family’s wheat field. Stammen, his father and brother farm corn, soybeans and wheat, and raise hogs on the Ohio/Indiana border. When he’s not farming, Stammen sells seed and scouts his customers’ fields in the summer. 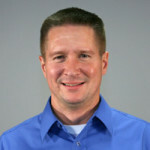 He also enjoys attending county fairs, trail riding and spending time with his wife, Heather, and son. In high school, Stammen was active in the Fort Recovery FFA chapter and earned the school’s first State Star Farmer award in 2006. Now, 11 years later, as a winner of the Power to Do More contest, Stammen’s former FFA chapter will receive $10,000. A Cincinnati Bengals fan, Stammen will enjoy a trip for two to Paul Brown Stadium in Cincinnati. To be the first to see the three winners’ videos, sign up for an email notification at PowerToDoMore.com. For more information about Resicore herbicide, visit PowerOverWeeds.com.